Volunteer for (or Run in) the 2019 Skyline Run! Does Spring Break season have you thinking about health and wellness? Sign up today to run in the Central Piedmont Skyline Run, taking place Mother’s Day weekend on Saturday, May 11, 2019. In addition to the 5K Run, the event includes a 5K Walk, 1-mile Family Fun Run and 5K Baby Jogger Championship. It’s fun for the whole family! This year, we are placing a spotlight on all moms in our community and raising scholarship dollars to support our student mothers – women like Breona Pollard – who are seeking the education and career training opportunities they need to secure meaningful employment and a bright future for their families. Central Piedmont students pay just $10, a savings of $15. Please support your Central Piedmont team by registering today. Interested in volunteering? Sign up here or email jenn.marts@cpcc.edu. All volunteers receive four hours of PD credit and may register in LearnerWeb. For questions or more information on the event, email foundation@cpcc.edu or call 704.330.6869. Join us Mother’s Day weekend on Saturday, May 11, 2019, either as a participant or volunteer, for the annual Central Piedmont Skyline Run. This year, we are placing a spotlight on all moms in our community and raising scholarship dollars to support our student mothers – women like Beatrice Plowman – who are seeking the education and career training opportunities they need to secure meaningful employment and a bright future for their families. The registration fee for Central Piedmont students is $10, a savings of $15. Please support your Central Piedmont team by registering today. Interested in volunteering? Sign up here. For questions or more information on the event, email foundation@cpcc.edu or call 704.330.6869. We know fall is such a busy time for families, so after much consideration, we’ve decided to postpone this year’s Skyline Run event until spring 2019. We’ll send an update as soon as we have a new date for your calendar and hope you’ll plan to join us in the spring. We apologize for any inconvenience this may cause you, and we’re already excited to host a great race in the spring to support the scholarship and financial needs of our students. Please email foundation@cpcc.edu or call 704.330.6869 with any questions. 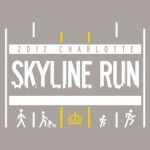 The 22nd Annual CPCC Skyline Run is quickly approaching! This 5K event that raises money for student scholarships is taking place on Saturday, April 22, 2017, and we need you to help make this event a huge success! We need more than 100 volunteers for this event, so your willingness to join us and help make the Skyline Run fun and safe is greatly appreciated!! All volunteers will receive a free 2017 Skyline Run T-shirt as a thank you for their participation! 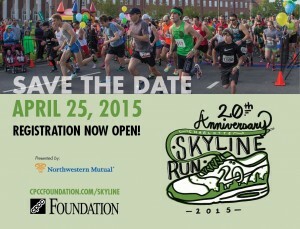 Please visit the Skyline Run page to register as a volunteer and click on the volunteer link. Gather your family and friends, register to volunteer, and have a wonderful morning! If you have any questions, please contact Jenn.Marts@cpcc.edu or call 704-330-6824. A BIG thank you is extended to those who have already committed to volunteering! Please note the entrance and exit to Student Deck 1 and the Employee/Theater Parking Deck (accessible from E. 4th St.) will be closed on Saturday April 30, from 5 – 10:30 a.m., to accommodate the college’s annual Skyline Run event which is featuring a new course that will run straight down E. 4th St. The entrance to Student Deck 1, from Charlottetowne Ave., will remain open and may be used to enter and exit the parking garage. Thank you in advance for keeping our runners safe. This Saturday, April 25, CPCC will host its annual Charlotte Skyline Run, a fundraising event that supports student scholarships and other student needs at CPCC. As a result of the race, several streets around Central Campus will be closed, impacting the commute of students enrolled in Saturday morning classes. From the east: Take Independence Blvd. Take the Charlottetowne exit and park in the Facilities Services Parking Lot, located at E. 7th Street and Central Ave. Student Deck 3 or Student Parking Lot 6, next to Memorial Stadium, may be accessible depending on runner traffic. From the north, south or west: Park in the Administrative Building parking area. Student Parking Deck 1 and 2 may be more easily accessible after 8:30 a.m.
For parking locations, view the Central Campus map. 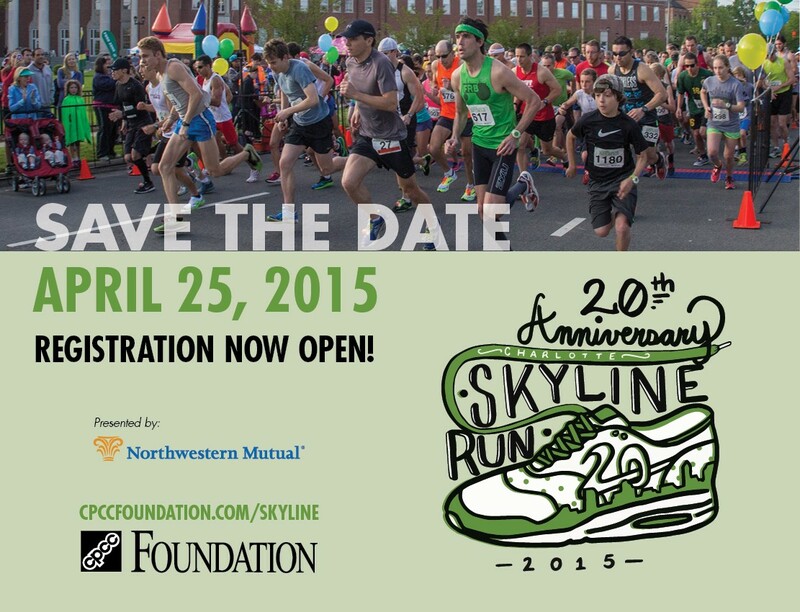 Audition for a chance to become a part of the CPCC 20th Anniversary Skyline Run fashion Show! T-shirts from the past 20 years will be showcased. All ages and all abilities are welcome to audition. 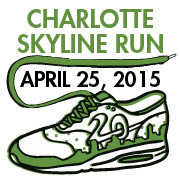 The 20th Anniversary CPCC Charlotte Skyline Run will be held on April 25, 2015. An estimated 1,000 plus runners are expected to attend this family fun event which will support student scholarships and other student needs. The Skyline Run will feature four components which include a 5K run, Walk for Health, Family Fun Run (1 mile), and Charlotte 5K Baby Jogger Championship. Kids will enjoy the Family Fun Run and spending time in the Kids Zone. raising money for Student scholarships! All volunteers will get a free Skyline Run T-shirt, breakfast on April 26 and Service-Learning credit for your time committed to making Skyline Run a success! Thank you for all your help and we look forward to seeing you on April 26! 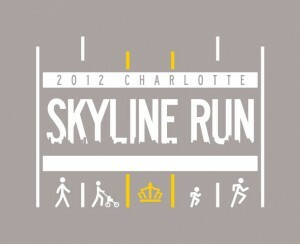 This Saturday’s Skyline Run event at CPCC’s Central Campus will impact student parking and general traffic patterns. To avoid confusion upon arriving to campus, please review the following guidelines. CPCC Central Campus will be open for Saturday classes on April 28, the day of the race. The majority of Central Campus will be surrounded by runners; therefore, many areas of the campus will be closed to vehicular traffic. The only parking available on Saturday between 7 – 9 a.m. will be in Student Parking Decks 1 and 2. If you’re coming from the north: Please access CPCC via I-277 and 3rd St. If you’re coming from the east: Please follow East Independence to I-277 and exit 3rd and 4th St., taking 3rd St. to Charlottetowne Ave. Take a left onto 4th St. and enter either Deck 1 or Deck 2. You may also access these parking areas via East 4th St. (Randolph Rd) or Providence Rd. (East 3rd st). There should not be traffic issues after approximately 9:30 a.m .at the Central Campus.